What does Ashkan mean, details, origin, short & easy attributes? Ashkan (Persian: Ø§Ø´ÙƒØ§Ù†â€Žâ€Ž, also Romanized as AshkÄn) is a common first name, mostly in Iran and Germany. It has roots in the ancient Persian male name Ashk commonly used in Parthian Empire (Ashkanian) in ancient Iran. The name translates to "Parthian King". Ashkan is baby boy name mainly popular in Muslim religion and its main origin is Arabic. Ashkan name meanings is The founder of an Iranian dynasty. People search this name as Ashkan. Ashkan is written in Urdu, Hindi, Arabic, Bangla as اشکن, अश्क़न, عشقان,اشکان,آشکان, আশ্কান. Other similar sounding names can be Ashaas, Ashaath, Ashab, Ashaes, Ashaj, Ashar, Ashaz, Asheb, Asheem, Asher, Ashfaaq, Ashfaq, Ashhal, Ashhar, Ashik, Ashil, Ashim, Ashiq, Ashir, Ashja. Each letter meanings in Ashkan Name. Popular personalities with Ashkan Name. Ashkan Dejagah is a soccer player for the Al-Arabi SC (Qatar), Fuchse Berlin Reinickendorf, Tennis Borussia Berlin, Hertha BSC, Hertha BSC II, VfL Wolfsburg, Fulham F.C., and Germany national youth football team. Ashkan was born on July 5th, 1986 in Tehran, Iran. 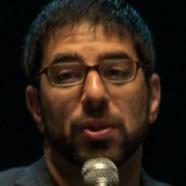 Ashkan Soltani is a chief technologist, federal trade commission; privacy, security researcher, and federal trade commission. Ashkan Pouya is a serial entrepreneur and entrepreneurship. Ashkan was born on June 2nd, 1976. Ashkan was born in 1963. Ashkan Namdari is a soccer player for the Aluminium Arak F.C., Bargh Shiraz F.C., Esteghlal F.C., F.C. Aboumoslem, and Esteghlal Ahvaz F.C. Ashkan was born in 1977 in Y, Iran. Ashkan Kaebi is an athlete for the Esteghlal Novin Mahshahr FSC.